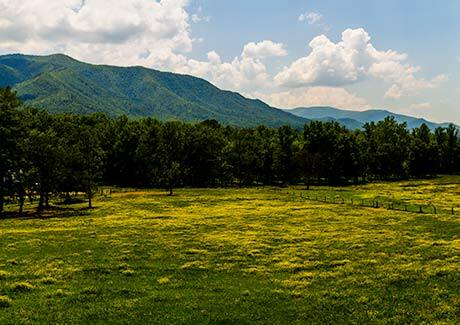 Cades Cove provides a glimpse of what a Smoky Mountain community looked like before the park was established. 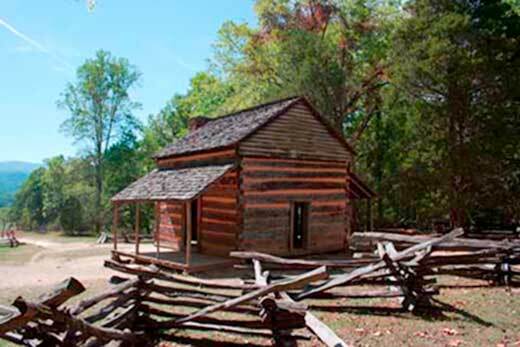 There are several homestead with cabins and outbuildings. Many of the buildings are rough cabins. 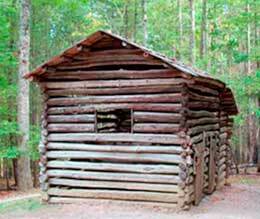 Visiting these old cabins is a reminder that the good old days really weren't that good. Of course the community had several churches. 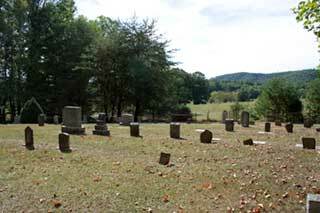 At one time there were two Baptist and two Methodist churches. Two Baptist churches were created due to a schism over biblical interpretation between the members of the church. 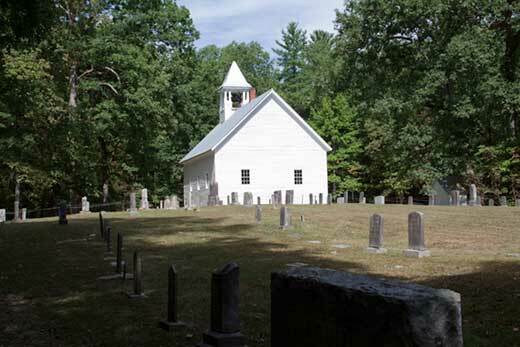 The two Methodist Churches were formed due to differnces of alliance during the civil war. 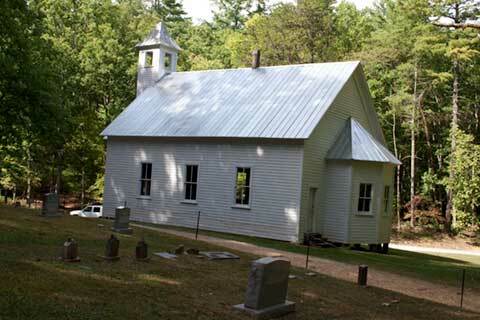 Most of the population appears to have favored the Union so those who favored the south established their own church. The gravyards for the churches are interesting. 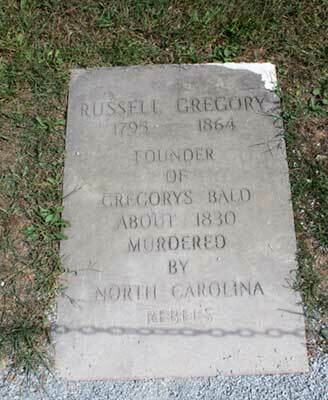 One of the most striking features of the graveyards, as is the case in many old graveyards, is the number of children that died young. A reminder that childhood was not free from death. The graveyard also has a reminder of the civil war. Most of the people of Western North Carolina were in favor of the union. But there were those who favored the south. According to the story the ranger told feelings about the civil war were pretty strong. 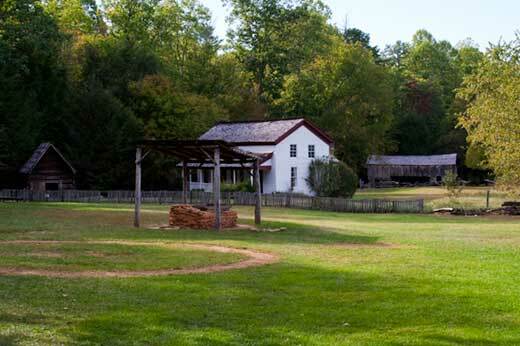 The Cades Cove auto tour ends at the Historic Area. 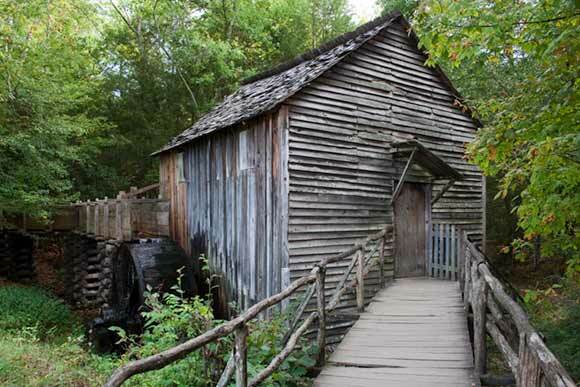 The attractions are are full restored buildings and the Cable Mill plus a visitor center. The mill is a working grist mill. We spent quite a bit of time wondering around the historic area-- looking at the barns, the mill, the stream, and the house. 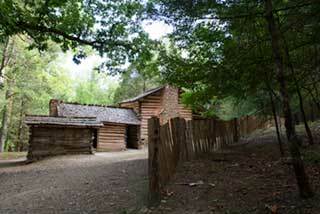 When we've visited here in the past, we have seen a blacksmith working and a demonstration of the sorghum mill. None of these demonstrations were going on when we visited in September 2007. 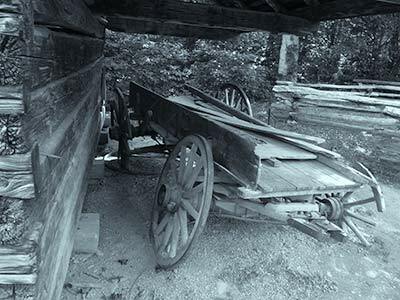 Go to Cades Cove Auto Tour for a good description of the Cades Cove auto tour. 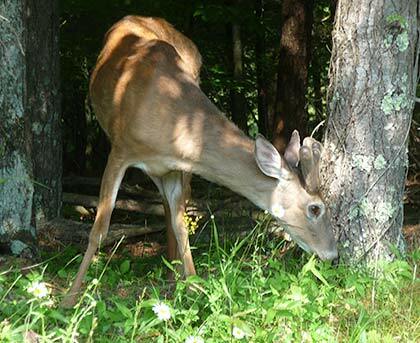 Cades Cove is home to deer, bear and wild turkey. As we were leaving one John Oliver's cabin, we beer family running across the field. 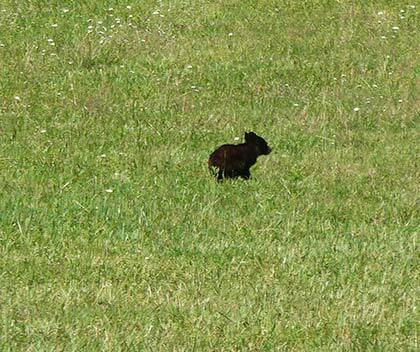 One of the young beers got left behind and started looking around for the rest of the family. He eventually caught up with them. As we were leaving the cove in the late afternoon we saw a small herd of deer graving. 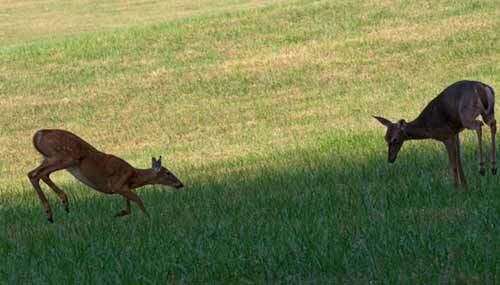 A couple of the young deer seemed to be in a playful mood. But even these two settled down to the serious work of eating. 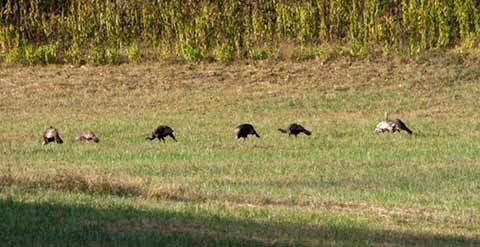 Just after we left the deer we saw a family of wild turkeys wondering across the field.